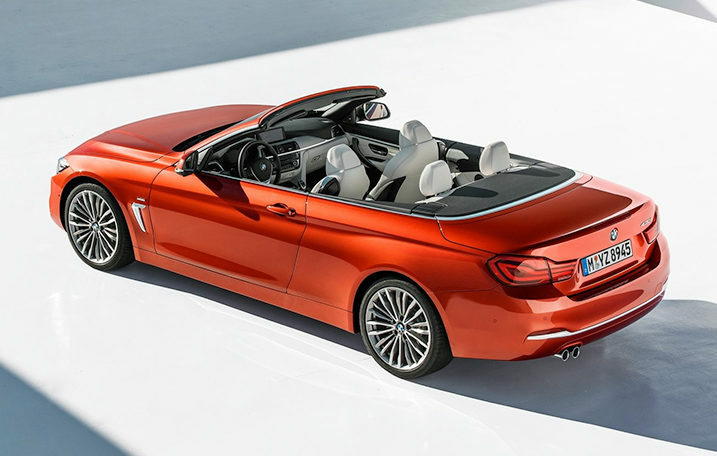 The BMW 4 Series Convertible’s fully lined hardtop can be raised or lowered in 20 seconds, even at speeds up to 11 mph. 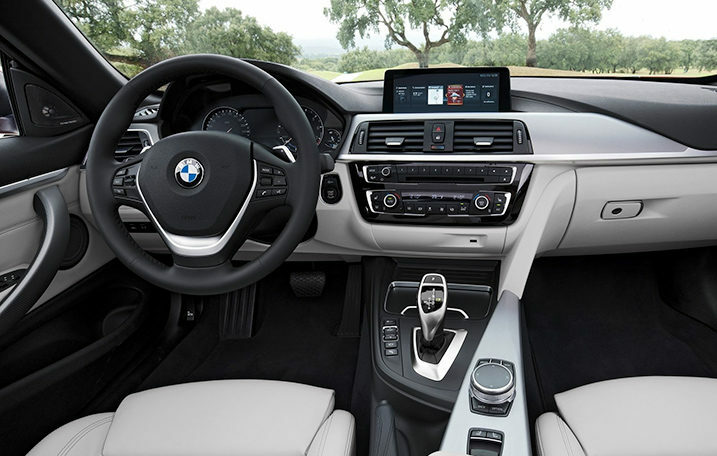 Fluid motion characterizes the operation, and integrated lighting and sound reduction give your interior a coupe feel. 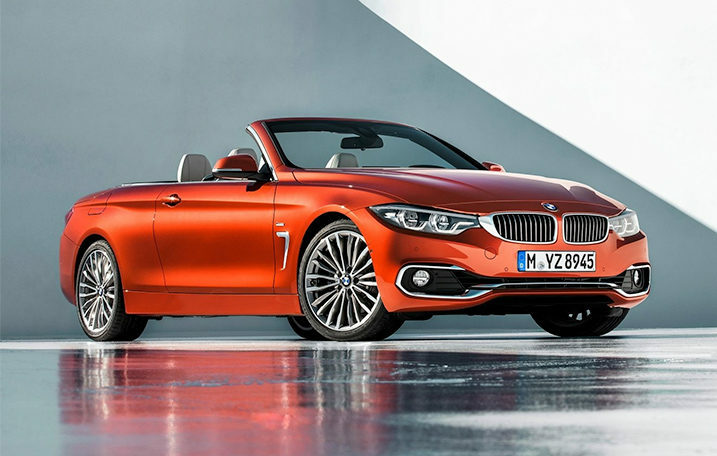 With a longer wheelbase, wider track, lower ride height, and suspension that brings down its center of gravity, the coupe-inspired performance of the BMW 4 Series Convertible makes it one of the sportiest open-top cars on the road. The BMW 4 Series Convertible boasts 13 cubic feet of trunk space. Compartments to the right and left of the main luggage area add room for small items, and the hardtop’s thoughtful construction allows unimpeded access, even with the top down.